With a central location on the island’s main boulevard, you’ll find the elegant Barcelo Aruba resort, ideal for a tropical destination wedding. The gorgeous beach with its aquamarine waters will make for a scene setting wedding ceremony, and the service on offer will leave every guest feeling catered too. The lagoon-inspired pools and fountains feature waterfalls and beyond the resort, you’ll find nightlife and shopping and Aruban culture throughout, with its unique mix of Spanish design and Dutch decor. For a unique event book a welcoming cocktail party next to the lagoon shaped pool, which lights up beautifully at night. The kids club offers supervised activities throughout the day to offer adults with kids a reprieve. Aruba is about exploring your surroundings, and exciting locales nearby include Jolly Pirates Sailing Cruise and Snorkeling excursions, and the Old Dutch Windmill. The complimentary package welcomes up to 10 guests based on a combination total of 45 rooms or nights (ex: 10 rooms booked for 5 nights each). Upgraded packages, additional guests, and add-ons are available for an additional cost. Beach – 140 guests max. 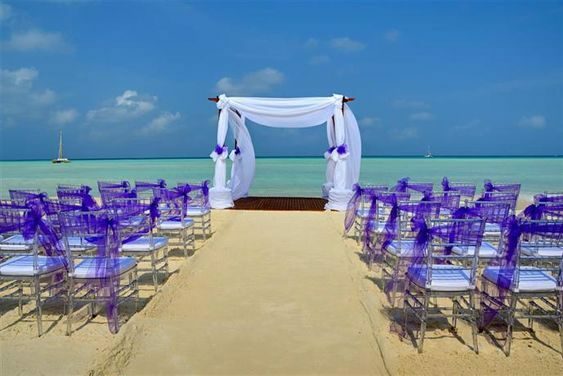 The Barcelo Aruba hosts a maximum of 2 weddings per day. 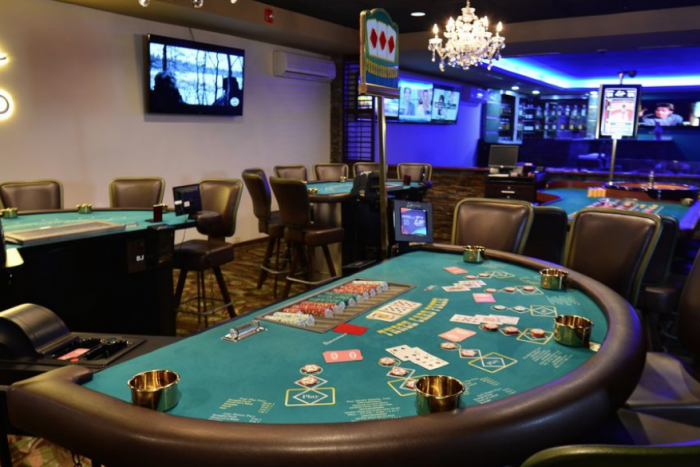 $215 – $270 average price per night per 2 adult occupancy. Rooms include private balcony or terrace and daily restocked minibar. Children 1 and under are free. There are 370 rooms with resort and ocean views. 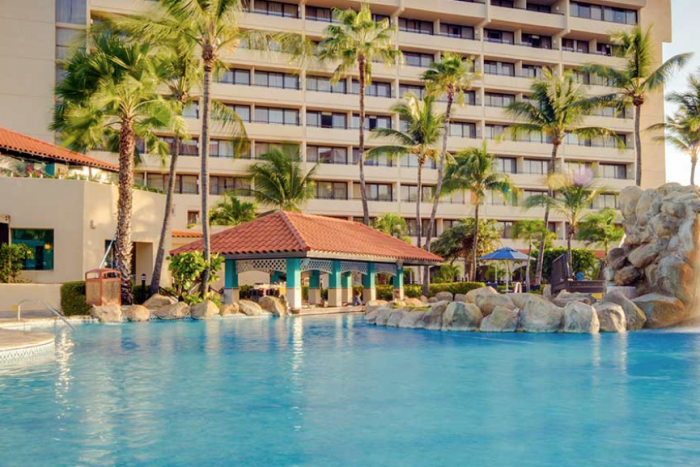 Due to the sprawling property grounds, Barcelo Aruba is recommended for more active guests. High seasons for weddings in Aruba are January through April and July. We highly suggest booking at least 6 months in advance. This hotel allows a maximum of 3 adults per room, or 2 adults and 2 children per room 12 and younger. The resort is located 15 miles from the AUA airport.